Enterprise Agreement negotiations recommence this week on Thursday 24 January. The ANMF will continue to press the Log of Claims at this Thursday’s meeting, providing its review of MCT financial position to support this claim. Further updates will be provided following Thursdays meeting. ANMF is currently working with Toosey management on finalising the draft agreement as presented at the joint management and union meeting back on 5 December 2018. Once this is completed and ballot dates are confirmed ANMF will provide a newsflash update on the ballot process. ANMF met with Eskleigh management on Tuesday 8 January to progress negotiations for a replacement Eskleigh Nurses agreement. ANMF have been provided with the following offer from Eskleigh for consideration; 3-year agreement, 3% increase each year for the life of the agreement (2018 increase already passed on), 5 days paid Domestic and Family Violence Leave, 3 days paid Union Delegates Leave and no cuts to current entitlements and conditions. ANMF is in the process of scheduling a meeting with members to discuss this offer, meeting details to be provided shortly. ANMF Organiser, Noni Morse will meet with members on Wednesday 30 January at 1030 to discuss employer’s Enterprise Agreement offer. ANMF continues to support members following the outcome of the Agency spot check. 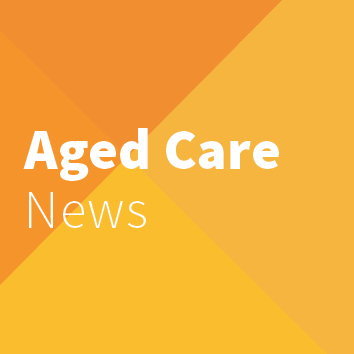 The ANMF has received a response from Southern Cross Care Chief Executive Officer providing reassurance to members that a no blame approach is being used and that additional resources have been mobilised. Member Engagement Officer, Mandy Clark met with members to provide support on 16 January. A meeting of nurse members has been scheduled for Tuesday 29 January at 1400 to provide feedback and seek input into Enterprise Agreement negotiations. A members meeting has been scheduled on Thursday 24 January at 1000 to discuss any issues of concern.